I-Mien towards Pa Kua Chang. Hung I-Mien said that Chang Chun-Feng would train each student a little differently depending on the student's physical characteristics. He obviously hit the mark when training the Hungs. 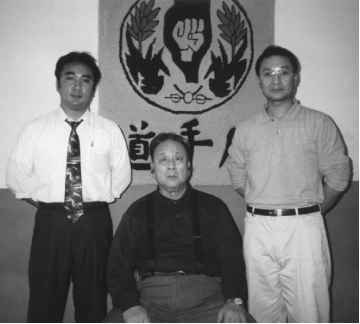 Prior to study with Chang Chun-Feng, Hung I-Hsiang had experience with the Shaolin his family practiced and he also studied Judo during the Japanese occupation of Taiwan during World War II. When the three Hung brothers started their study with Chang the first thing they were taught was Hsing-I's p'i ch'uan (splitting fist). This was followed by the other four fists of Hsing-I Ch'uan. Hung stated that because of his base in Shaolin he was able to easily transition to the movements of Hsing-I Ch'uan. In Hung I-Hsiang's opinion, starting with Hsing-I Ch'uan's five elements is the best way to develop internal power. He said that students must learn to develop power at the ming ching (obvious power) level before they can understand higher levels of refined skill. In Hsing-I the expression of internal power is inherently more obvious and direct than either Pa Kua or T'ai Chi and thus it is a good starting place. He says that although the three arts will suit different people, whatever art a person studies they should train the strength aspect first and then once that has developed they can refine it and learn how to use it. He feels that it is best not to start with T'ai Chi because it is a high level expression of internal power and if the student has not developed internal strength in practicing an art like Hsing-I Ch'uan or some other strength training exercises, it will be difficult for the student to understand internal power as it is expressed in T'ai Chi. When Chang was teaching in the early days he would often use Hung I-Hsiang as his demonstration partner when demonstrating application to the other students. Hung said that he felt this "hands on" experience with Chang was an important part of his development. He believes that when learning, the student should have as much "hands on" contact with the teacher as possible so that they can feel what the teacher is doing.
. . . students must learn to develop power at the ming ching (obvious power) level before they can understand high levels of refined skill. A story which was told in the "Way of the Warrior" documentary about Hung I-Hsiang, produced by the BBC in the early 1980's, says that at one point in Hung's training with Chang, he questioned whether or not the internal styles would really work in a fight. He thought maybe he was wasting his time in studying with Chang. 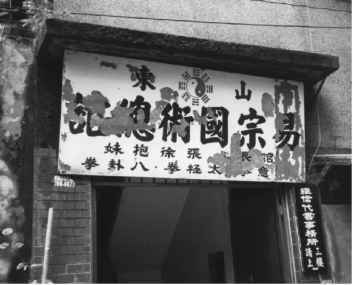 Chang told Hung, "Go and challenge senior students of other instructors, if they beat you, then you should study with their teacher." Twenty-five fights later Hung returned to Chang's school undefeated. What is internal power level of led and a expression for it?